Despite the advent of jumbo-sized smartphones, and a slow but steady drop in global tablet sales reported over the last few years, Samsung is seemingly keeping the faith in the Galaxy Tab family. It’s no longer a secret that there are at least two new models in the works, both of which are expected to trim their bezels down and leave out the physical home button. But last year’s high-end Galaxy Tab S3 had a fingerprint scanner hidden inside the chin-mounted hardware key, which raised an important question regarding its sequel. 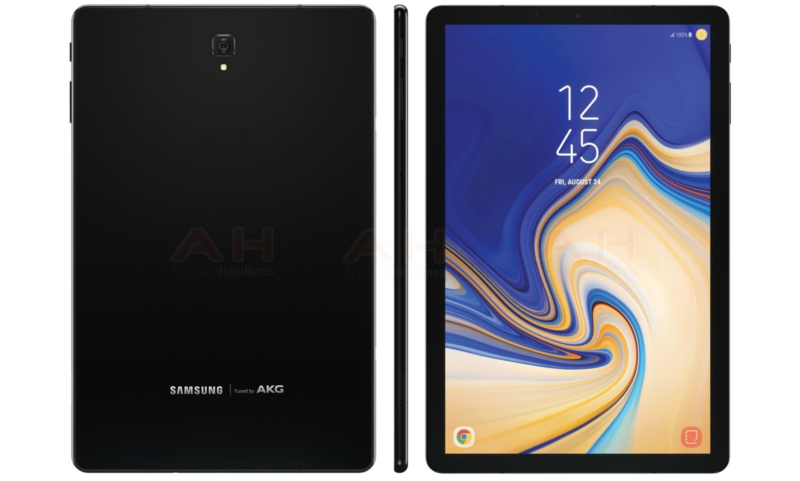 The Galaxy Tab S4 has been repeatedly rendered missing a rear fingerprint sensor, so the only other place Samsung could have embedded that was in the slate’s actual screen. With the futuristic technology not ready for primetime yet, we now have confirmation the 10.5-inch Tab S4 will be relying exclusively on facial and iris recognition for biometric authentication. The Intelligent Scan feature introduced with the Galaxy S9 and S9+ earlier this year will be expanded to Samsung’s new flagship tablet, replacing traditional fingerprint identification altogether. 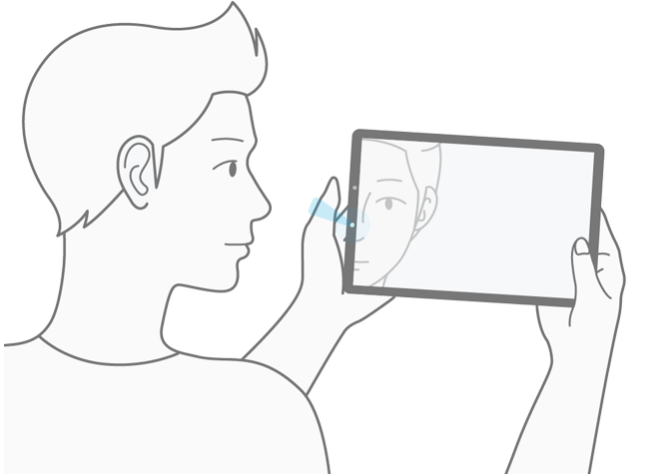 An instructional video highlighting the convenience of the iris + facial recognition combo has been discovered in prematurely revealed Galaxy Tab S4 firmware. Basically, this function is etched in stone already, even though it remains unclear whether the oft-leaked device will be unveiled this month or the next. In case you’re not familiar with Intelligent Scan, its main claim to fame is low light usability. In a nutshell, the Galaxy Tab S4 will switch back and forth between your iris and your face, always trying to find the best, quickest way to unlock, regardless of lighting conditions.